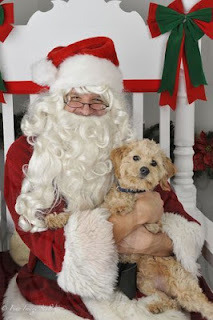 Ottawa Humane Society: A pet is for life, not just for Christmas. A pet is for life, not just for Christmas. Of all the messages that humane societies in North America have tried to lodge in people’s brains, the most successful is this: "Don’t adopt a pet at Christmas". Unfortunately, although that is what many people heard, it generally wasn't the intended message. The real message—and it’s pretty catchy—is this: "A pet is for life, not just for Christmas." Years ago, seeing abandonment and relinquishment of hundreds of thousands of pets given as gifts, the humane movement wanted people to stop and think about their commitment and readiness before bringing a pet into their family. Too often parents were buying dogs and cats for their children like disposable Barbies or Hot Wheels. To this day, most humane societies have deep concerns about pets as gifts, and most, like the Ottawa Humane Society, will not adopt a pet to someone intending it as a gift for someone else. Some of you will want to write to call me on this, having read about our successful Christmas delivery program, where Santa -hatted volunteers deliver pets to excited children on Christmas morning. (Or in one case, an evening of Hanukkah ) What you may not have noticed is that these adoptions had actually been completed days before Christmas, following the OHS’s usual adoption screening and education regime with the parents. In fact, the whole event has been carefully planned, and the children are the only ones that are surprised. The Christmas holidays have changed significantly. A trend toward smaller families and greater mobility across the country has meant that holiday celebrations are often much smaller and quieter now for many of us. With some preparation and certain precautions, the Christmas holidays may be an excellent time to bring a pet into your family. It may be one of only a few times in the year that you are able to stay home from work, or have a break from hectic family schedules to help your pet adjust to her new life with you. Certainly there are hazards for pets that can increase at Christmas. Chocolate is toxic to both dogs and cats. Ingesting tinsel and ribbon is a significant risk to cats as it can easily lodge in their intestines. Chewing on cords for holiday lighting is a risk to dogs. But perhaps the greatest risk to both dogs and cats at the holidays is simply slipping outside during holiday commotion and becoming injured or lost. Bringing a pet into your life deserves careful consideration at any time of the year. The Ottawa Humane Society is here to help you match a pet to your lifestyle and help you integrate an animal into your home. Call, visit, or go online at www.ottawahumane.ca for assistance in finding your forever friend—and to find out more about the OHS at Christmas and all year long. P.S. Please join Santa and the animals on Saturday, December 1, from 1PM until 4PM at 245 West Hunt Club for the Ottawa Humane Society Holiday Open House.